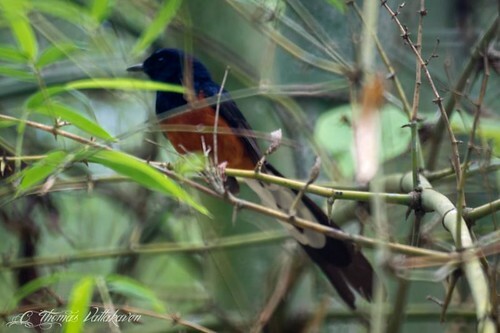 White-rumped Shama (Copsychus malabaricus) was formerly classified as a member of the thrush family and was called as the White-rumped Shama Thrush or simply Shama Thrush. 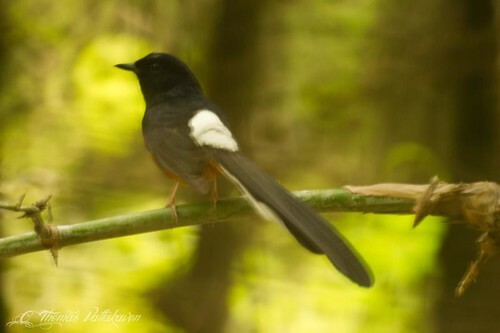 Males are black with a chestnut coloured belly with a white feathers on the rump and the outer tail. 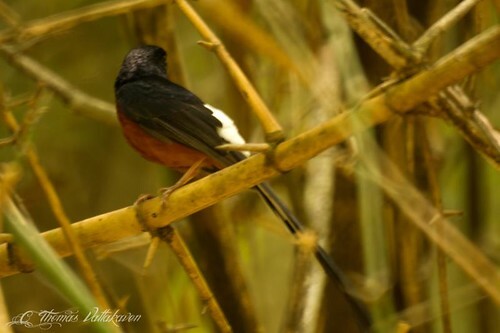 The female resembles the male but the black is replaced by a a slaty brown and the chestnut by rufous. The iris is dark brown, bill black and the feet is flesh coloured. 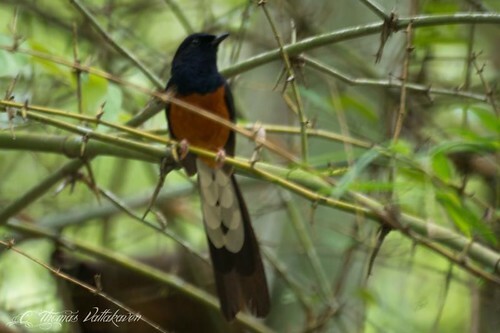 It is a forest bird and is found in thick jungles and ravines. 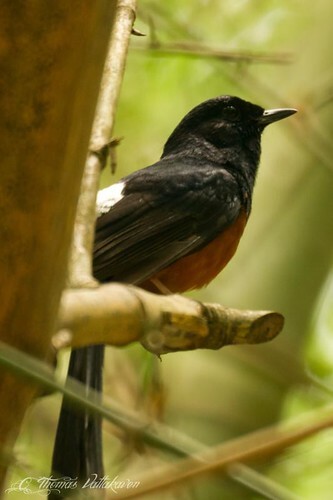 It is well known for its song, for which it has been kept as a cage bird and introduced into far off places such as Hawai. Their typical habitat is in bamboo undergrowth. 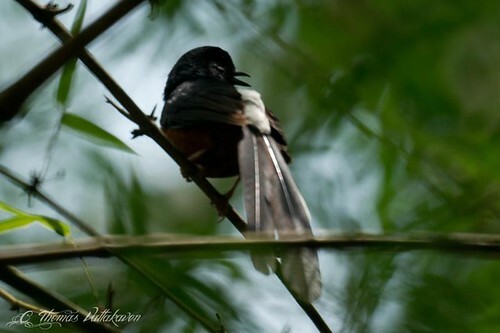 They are shy birds and are active during twilight – dawn and dusk (crepuscular). It feeds mostly on the ground, searching for insects, worms and fallen fruit, but flies up into the trees when disturbed. The breeding season is from April to June. The nest is a cup of dead leaves lined with grass and placed in the base of bamboo clumps. It is built entirely by the female while the male stands guard. 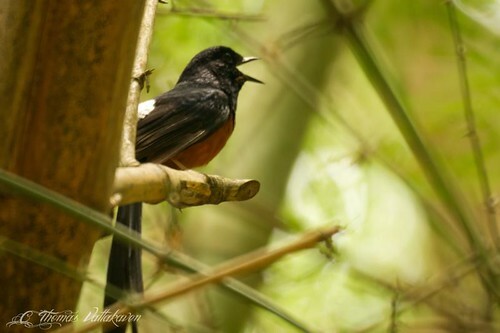 Other Details: Seen on the roadside in a bamboo clump in the forests of Mudumalai national park, singing away.